More PPU! Each month, I get more and more impressed with the offerings from brands and what they do with their themes. Books was a fun theme and some went totally different. KBShimmer chose this romance novel that I've never heard of, but hey, it's got love and rainbows and unicorns. Today I have my first of probably many looks from the Zoya Bridal Bliss collection. It's a set of 12 curated shades from Zoya, incuding one brand new neutral holo! I had an event last week, where I was part of a panel lecture on trauma (what I study in literature). One of my students told me that she always notices my nails since I speak with my hands. Well, I didn't want to be in front of intellectuals who were all way older with ridiculous nail art. So I pulled out the Zoya Bridal Bliss collection (finally), and did some classy art! Le sigh. I sigh because I cannot handle the beauty of this polish. Stella Chroma's Let Me Show You is a dream come true. If you're a Harry Potter fan, a pretty polish fan, and love exclusives, you need this. Sometimes I feel jaded in the nail polish world. I have so much. Then something like this comes around and my heart goes pitter patter! I hope you all had a wonderful weekend! Although mine was filled with so much rain, it was still a great time. Today, we went down to Union Square and did some shopping and eating. It was wet, but at least the rain let up for a little bit! 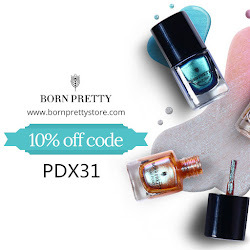 Anywho, I am so behind on sharing lots of Born Pretty goodies, so let's take a look at these nail sequins! It's Polish Pickup time! After many months of voting, the theme is finally books. As an English professor, I'm down with this theme. Although, it's not really inspired by classics, so honestly, I haven't heard of many of the books. But Alter Ego was inspired by Shakespeare! I have read so much Shakespeare in my time, as it's important in the canon of literature. A Midsummer Night's Dream is one of Shakespeare's most revered comedies, so let's get to it! I shared this collection last week and promised you art. I saw THIS art from So Hot Right Nail on Instagram and it was so simple but striking. When I got the Jessica collection, I knew I wanted to re-create it! And now that I've done it, I want to do it all the time. It's so simple but so beautiful. Oh you're going to want to take a sit, grab a snack, and fully enjoy a collection of 12 brand new holos from Lechat Dare to Wear. I didn't even know Lechat came out with holos and was fully expecting their gorgeous spring creme collection to arrive. When these arrived in it, I was so giddy that I previewed them on my Instagram. These are intensely holo with such unique colors! I love when I get to test stamping polishes! Usually, I search my stash and just hope for the best with a normal polish. I forget how much easier it is to stamp when you have a stamping polish LOL. I especially love when stamping polishes make me look like a pro. 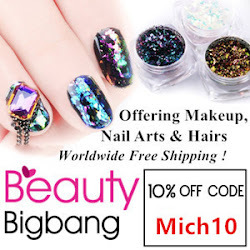 Enter Beauty Big Bang stamping polishes! Even though mainstream polishes are the original OG holos, indies have taken over for the last 5-6 years. It seems mainstream is getting the hint and bringing it back with some new holos! I have three of the six new holos from Morgan Taylor. These are the new Platinum holos and they glow! They are considered holographic shimmers so they have a nice holo flame but also a glowy shimmer. So the more you know, right? I flipped to February and fully expected to do a Valentine's filled Pusheen. Who knew it was Pusheen's birthday?! 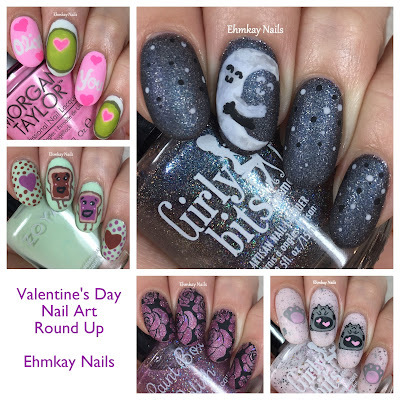 That was the inspiration for this month's Pusheen manicure of the month! And it just so happens that TODAY is her birthday (although Pusheen will always be a male to me). Good evening, all! I have a really soothing collection from Jessica tonight. I love creme collections and I have beautiful art in mind for this collection, I just need time. Right now, I feel totally overwhelmed with life and blog balancing, and I'm trying! I'm just behind but I have so many gorgeous spring collections to show you! Let's get to this one right away! Good morning! Hope you had a lovely Valentine's Day yesterday! I want to share a very special polish that will only be available through the end of February so you don't want to miss out! It's probably up there as my dream polish! It's Fat Tuesday, or Shrove Tuesday, or Mardi Gras as most people know it. I love Louisiana and its culture. When I visited, I could totally see myself living there. This year, Mardi Gras came too quickly so sadly, I only had time for one measly little manicure. And even that, after reading and commenting on 200+ pages of paper this weekend, I just felt tired and exhausted. This is all I could do last night. So I purchased Slay Belle, one of the December CoTM from Girly Bits, but I was never getting it in time for the holidays, lol. But as I looked at it, I went hey! This doesn't have to be a holiday polish, it can totally be a Valentine's Day polish, so that's what I did! I have been doing a lot of stamping lately, but I really loved what I did for Valentine's Day last year, so I wanted to do a round-up. This past week I shared a few Valentine's Day looks and I'll have a few more. I just wanted to go down memory lane with this post! Hello everyone! Sorry for a late night post, but I wanted to share yet another Valentine's Day look. I've been in the mood for stamping and just enjoying the fun looks I am creating. I just received the new Morgan Taylor Spring collection last week, so I wanted to share some colors since I don't have swatches yet. Give me a few weeks! With my semester in full swing, it's getting harder to spend a lot of time on art. So I've been reaching for stamping lately because I can get a fun manicure done in 30 minutes or less. Compared to last year's Valentine's Day, this is the year of the stamp for me. I've also been working on finally using up my last few untrieds, and this was perfect! I don't know about you, but I rarely match my nails to my outfit. I usually save that for special events. Normally, I wear whatever on my nails. But I wore this manicure 2 weeks ago to match my outfit. I was feeling a little uninspired and I had put out my outfit for work. So why not?! Check out my gorgeous shoes! It's Monday! What's better than unicorn + holo + chameleon + whatever else makes you happy?! Maybe leftover brownies from the Super Bowl last night? Yea, that was a delicious breakfast. I'm having so much fun with all these new loose powders. They just keep getting better! These are definitely some of my favorite. Good evening! Quick post here as I wanted to share a recent mani with 6 Harts Raspberry Ice. When I posted Raspberry Ice HERE, I mentioned that I felt it could stamp. Well, I tested that theory and I was right! I wanted to get this post up since Polish Pickup went live today! Hello there! It's the first of February and so naturally, that means neon holos! Celestial Cosmetics has released a collection of eight 80s inspired holos. Since they are based in Australia, and it's their summer, this collection is perfect!